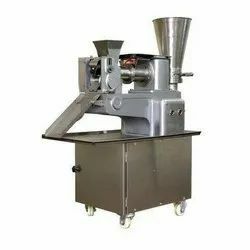 Prominent & Leading Manufacturer from Coimbatore, we offer dough kneader machine, vegetable cutter, potato peeler machine and samosa making machine. We are counted amongst the well-known names in the industry, offering functionally advanced array of Dough Kneader Machine. They are quality approved and the entire kneading process is carried using advanced modules. 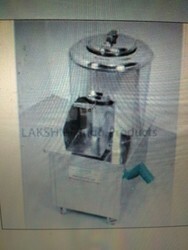 Dough Kneader Machine is offered in varied technical configurations. We hold expertise in offering our clients an exceptional array of Vegetable Cutter that are performance oriented and are sturdy in construction. Our entire product range is easy to clean and requires minimum maintenance. Vegetable Cutter is delivered in varied configurations and is dimensionally accurate. We are counted amongst the most well-known names in the industry, offering technically advanced array of Potato Peeler that are durable in nature and ensures smooth and effective operations. Our products ensure effective peeling of the potatoes and are quality assured. Moreover, we offer them in stipulated time frame. With the valuable assistance of skilled team of professionals, we are engaged in offering an extensive range of high-quality Samosa Making Machine.